Select the version you want above. 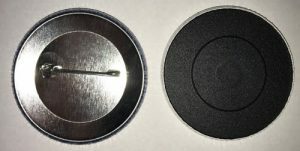 Either a 59 mm diameter pin back, or magnet back. Award one to your child/pupil when they have completed all of the activities on the Year 5 Activity Passport. After they have one badge they may want them all! There is single price for postage, however many you purchase. Adult supervision is needed when attaching the pin badge to a jumper, or cuddly toy.